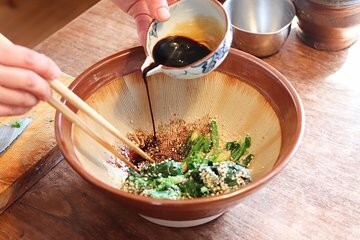 Travelers who love Japanese food and want to learn how to make it at home will enjoy this cooking lesson experience. Tour a local market and learn about Japanese ingredients, as well as how to select the best ones. Take a cooking lesson in your instructor’s home, and also see how the locals live and dine. Enjoy eating what you produce afterwards. For your market tour, meet Aki at a mochi store named 'Demachi Futaba' near Demachiyanagi Station on the Keihan line.